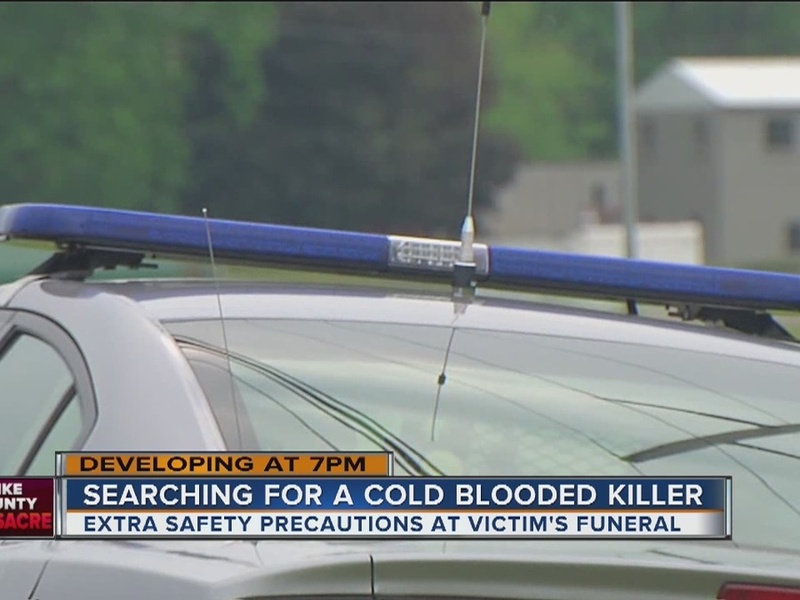 SOUTH SHORE, Ky. -- As a grieving family prepares to lay eight of their own to rest, security will be top of mind. After all, a "murderer or murderers" targeted the Rhodens for an "execution-style" massacre, Attorney General Mike DeWine said. Gary Rhoden, 38, was among last week's victims whose bodies were found at four different crime scenes in rural Pike County, Ohio. Autopsy results reveal seven of the eight sustained multiple gunshot wounds. The family held a visitation Wednesday night at Crockett L. Reed Funeral Home, about 30 miles south of where the victims were killed. Gary Rhoden's brothers and parents live in the Kentucky river community. "Everybody is in shock, and they really want their privacy," family friend Lisa Wallace said. "And a lot of them are scared -- I would be, considering." Crocket Reed, funeral director and owner, said his staff was working to ensure services went smoothly so the family could have the time they needed to grieve. "We've been in contact with the Greenup Sheriff's Office, Greenup City Police and South Shore," he said. "They are all going to be here making an appearance and will be around nearby on standby." Mourners spent hours at the funeral home, as the officers and deputies stood watch. Pike County Sheriff Charles Reader said he'd provide any additional security measures needed. The heavy presence of law enforcement was a reminder that the killer or killers are still on the loose. Wallace said Gary Rhoden, her former brother-in-law, was a good man. Hurting him, she said, "was like kicking a dog." Reader and DeWine have acted as the main representatives for law enforcement speaking to reporters since eight family members were found dead in four Pike County homes Friday, but they haven't said what they believe to be the motive for the killings. On Friday, though, Reader emphasized that investigators believe the Rhoden family was targeted. "I don't believe there's any other threat to any members of the community," he said. "However, there is a threat there, and I believe that threat to be armed and dangerous." Gary Rhoden's visitation resumes at 11 a.m. Thursday, followed by a funeral at noon, and then a burial service.